How to flash Karbonn K59? 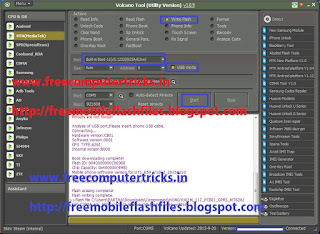 here is the way to flash K59 Karbonn phone using Volcano Tool V3.0.9. 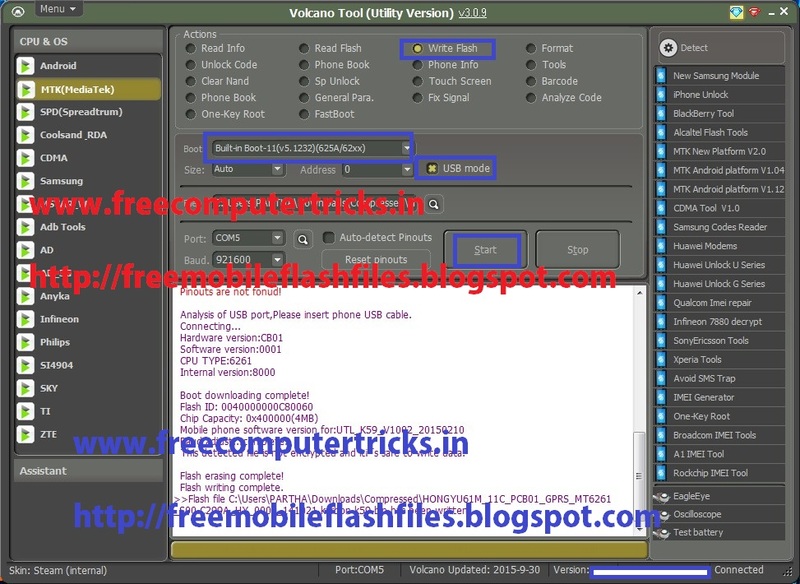 The phone has MTK CPU and Support USB flash, so use USB Mode on Volcano Tool and flash the phone. To flash karbonn K59 see the below details. Karbonn K59 Dead solution and flash solution, just write flash using Volcano box and you will be able switch on the phone. If the phone is dead or not switching on then try to format the phone or write flash to the phone, then the phone must work fine. This detected file is not encrypted and it¡¯s safe to write data.